Press Release/Mumbai: After beating Divine Child High school in the quarterfinals, Fr. Agnel’s girls were upbeat about their chances of winning the semifinals against the girls from Chembur, St. Anthony’s. But St. Anthony’s had the experience and ability to overcome the girls from Navi Mumbai with relative ease. St. Anthony’s beat Fr. Agnel’s 44-24 in the first semifinal to book their place in the finals of the BFI IMG-Reliance School League in Mumbai. Anisha K had 17 points, Vidya V and Shriya S had 10 points each for St. Anthony’s. Darshana Deepak top scored for Fr. Agnel’s with 9 points. In the other semifinal, Bombay Scottish also had a relatively easy outing. Like St. Anthony’s they have remained unbeaten in the competition so far. Bombay Scottish beat Vidyaniketan, Dombivili 45-25 (HT: 27-14). Rachel Netto had 20 points and Deeya Parekh had 10 points for the winners. Saloni Sathe netted 10 points for Vidyaniketan. 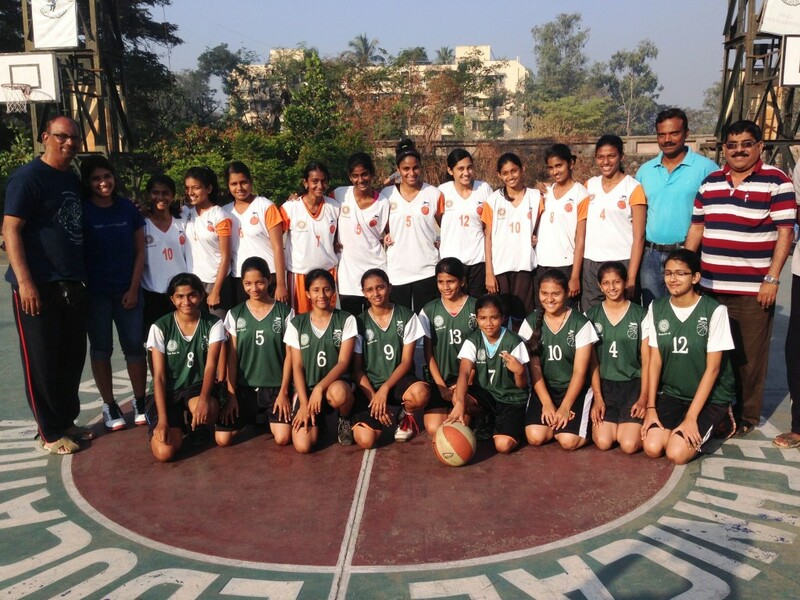 The girls’ final will be played between Bombay Scottish, Mahim and St. Anthony’s, Chembur on 22nd December 2013 and for the 3rd place, Vidyaniketan will play against Fr. Agnel’s. The boys semifinals were expected to be close games but the results show otherwise. Both Fr. Agnel’s and Hansraj Morarji had it easy against St. Joseph’s and Don Bosco respectively. Fr. Agnel’s beat St. Joseph’s on their home turf by 39 points, with the scoreline reading 69-30 (HT: 40-10). Rohan Jagtap had a game high 25 points and Vaishakh Nambiar had 10 points for the home team. Smit Shinde had 15 points for St. Joseph’s. Don Bosco High School, Matunga lost to Hansraj Morarji 62-42. Though Don Bosco had height advantage, unlike their game against DJ Doshi Gurukul, their 6”3’ center Suraj was not able to capitalize against his opponents in semifinal clash. Bhumish Patel scored 32 points and Shivam had 14 points for Hansraj while Darshan Gandhi had 14 points for Don Bosco. The boys’ final will be played between Fr. Agnel’s and Hansraj Morarji. The 3rd place game will be played between Don Bosco and St. Joseph’s on 22nd December 2013. Fr. Agnel’s (Rohan Jagtap – 25 points, Vaishakh Nambiar – 10 points) beat St. Joseph’s (Smit Shinde – 15) 69-30.